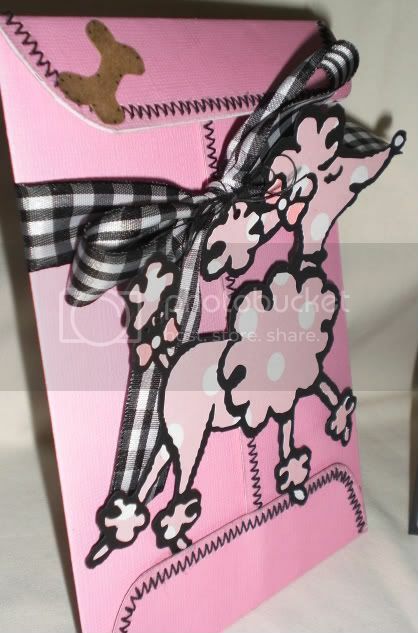 I found this cute poodle image and just had to try and cut it with the Pazzles. It cut out beautifully! The envie and insert are both Cricut (Doodlecharms). This set is available for purchase over at my ETSY shop! 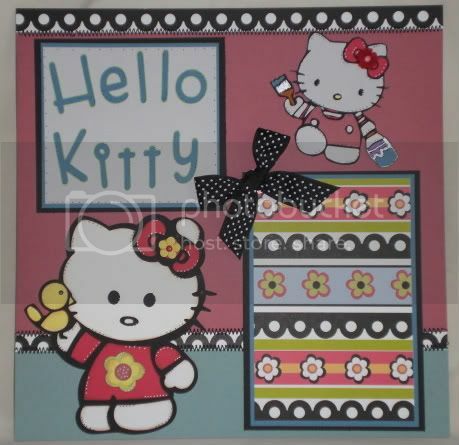 Here is my first official layout using the Pazzles machine (my new love). The title was cut using the Cricut with the Making the Grade cart. 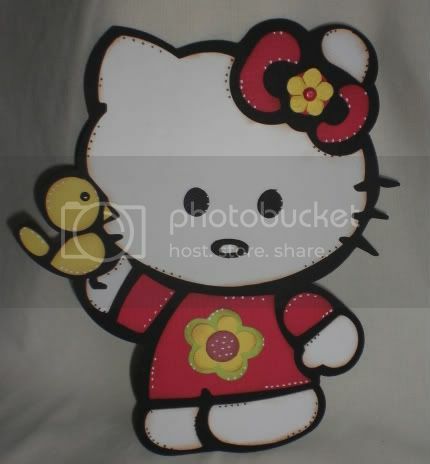 I cut and hand pieced both Hello Kitty characters from images I found on the internet! 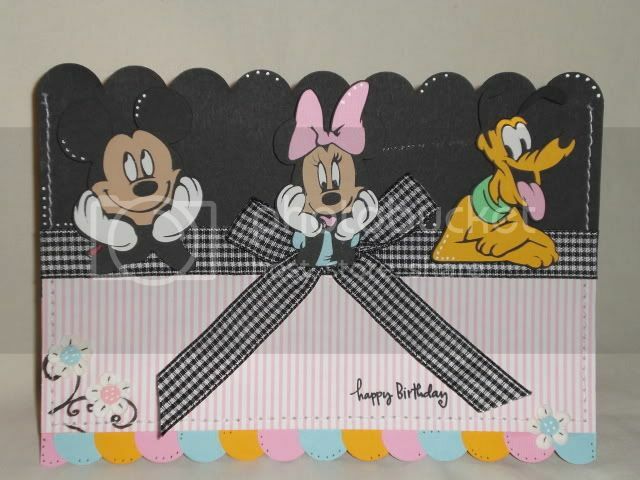 If you are interested in this layout, I have it listed on EBAY. Enjoy!! 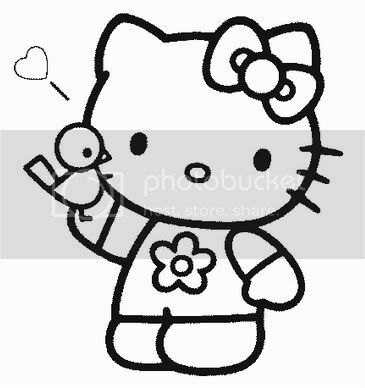 This lil Hello Kitty took me hours to figure out using the Pazzles! 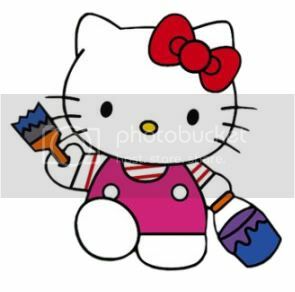 I've included the coloring book page that I imported her from! ENJOY! 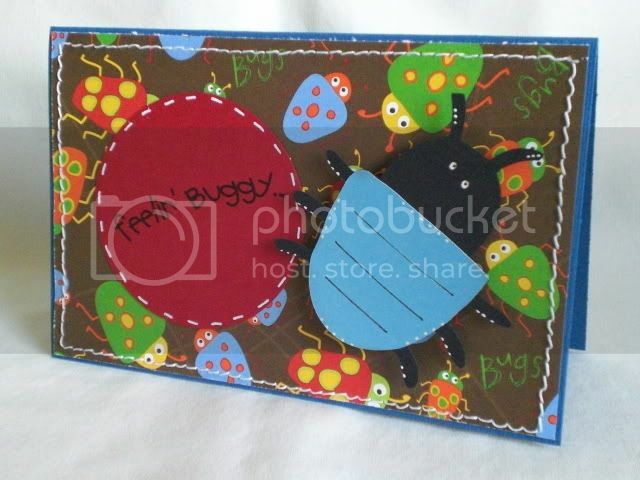 This was a special request card made for Alison. It's actually a postcard, the back is all white for her to write a message. Enjoy!!! 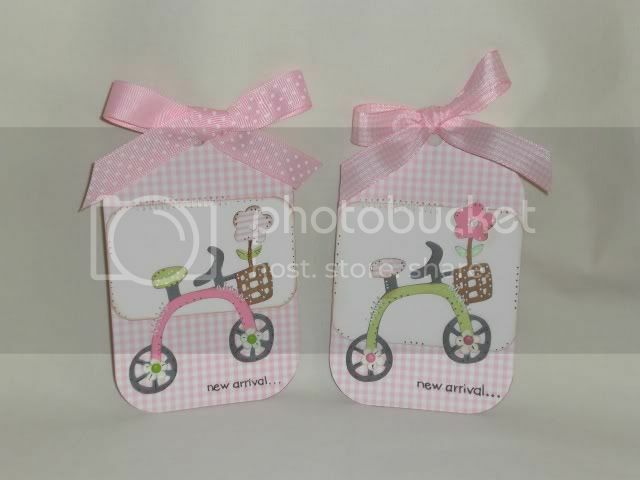 I loved the tricycle from one of Regina's BBTB challenges. 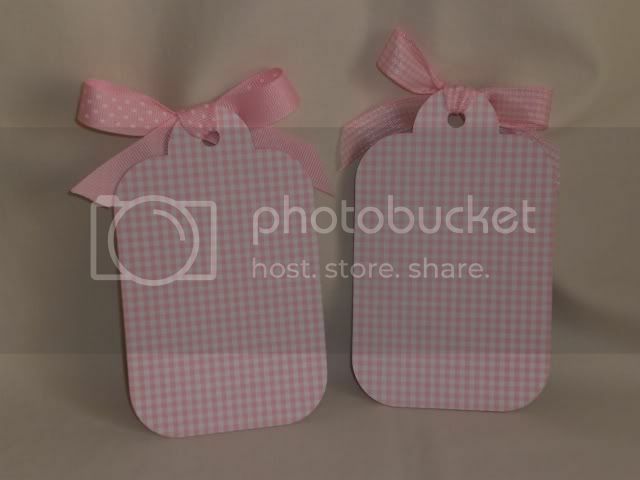 These are some gift tags I put together. They are really cute in person! 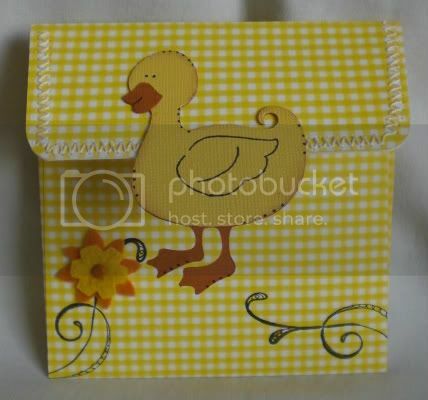 Visit my ETSY shop...they are for sale there! Here's another set I put together this weekend. 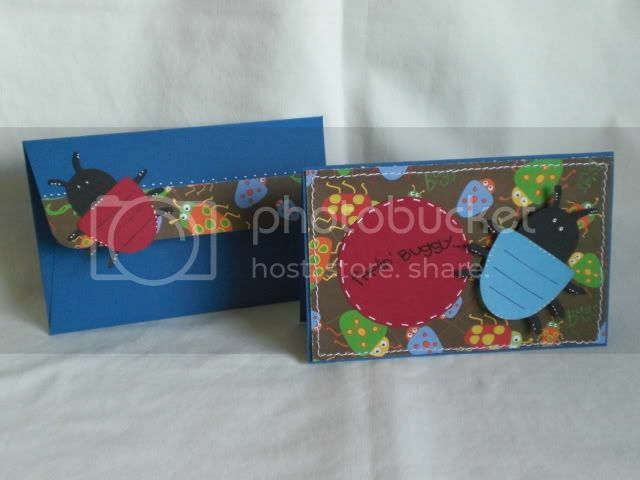 So happens this set was my first sale over at my ETSY shop...Weee Heee!!! 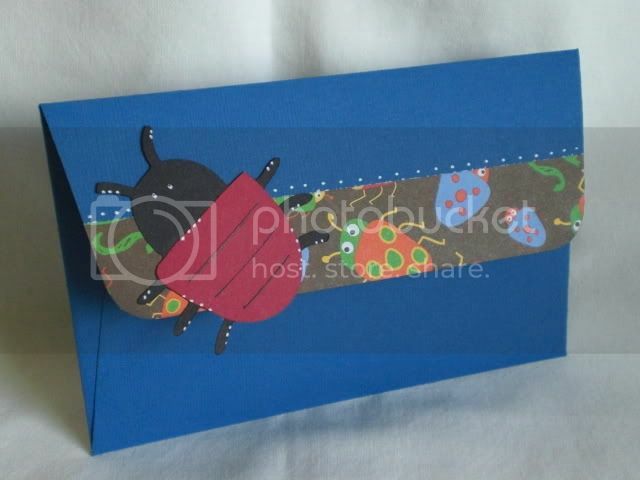 I just got this adorable bug paper and wanted to make a set with it. So here is what I came up with! This set is for sale at my ETSY shop. ENJOY!!! Regina over at the BBTB site is holding tryouts for her design team! I've been wanting to join the team for a while now. She asked for two project submissions using any of the cartridges. 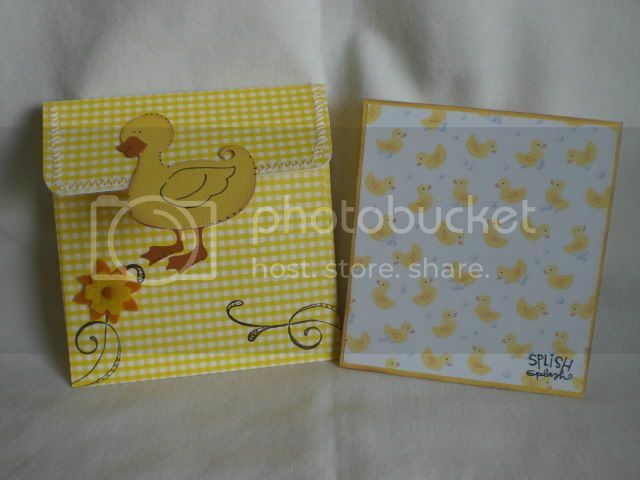 Soooo...here are my two entries! 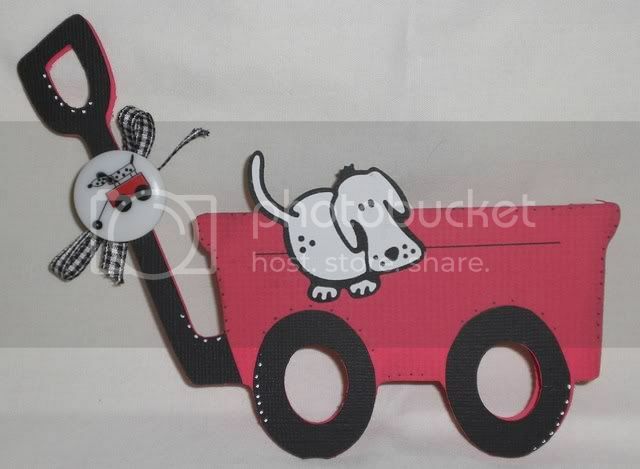 The wagon card is cut from Paper Dolls using CDS, doggie is a Cuttlekids die. 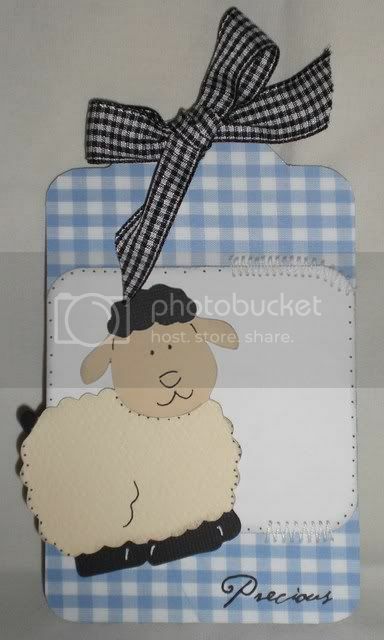 Gift tag is from TBBM and lamb is from Animal Kingdom. I hope I get chosen to be on the design team! ENJOY!!! 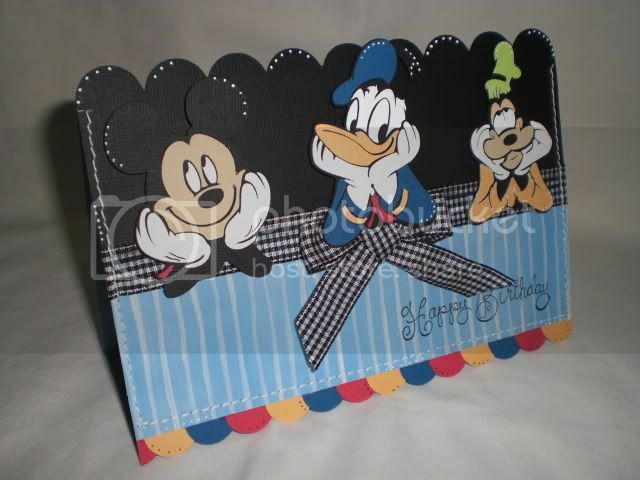 Here is another Disney themed card featuring Mickey, Donald & Goofy. 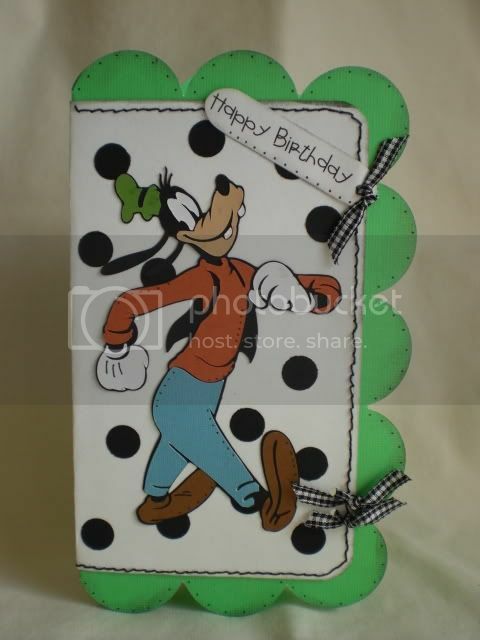 I just opened up an ETSY shop and this card is available for purchase there! Here is a one page layout I put together! 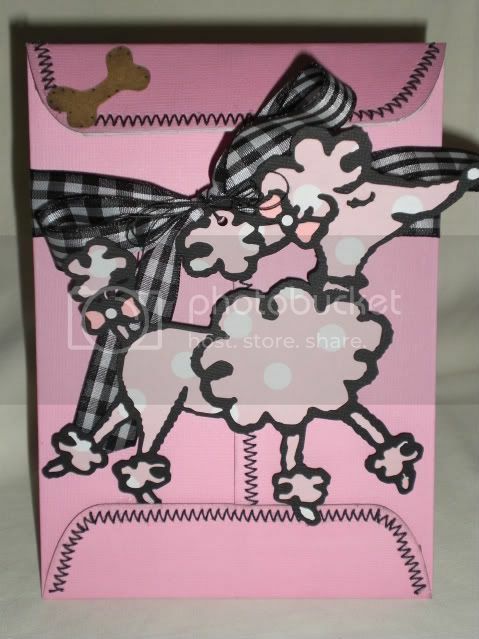 I came across the cutest scrapbook store (about 15 minutes away) and bought this adorable paper there! 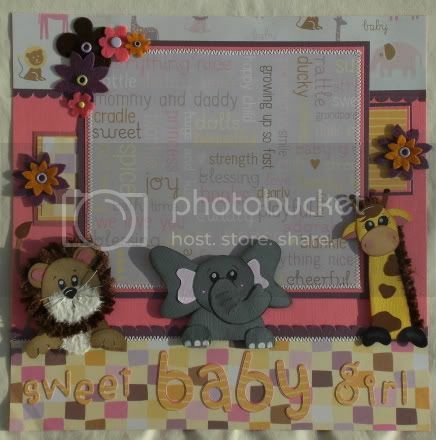 Animals are hand pieced and "sweet baby girl" is from Making the Grade! 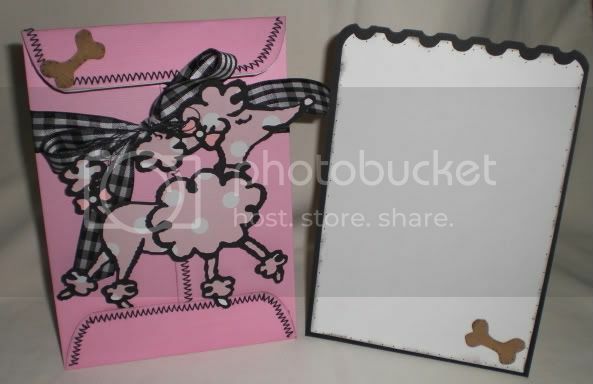 There are two journaling tags behind the 5x7 photo frame. 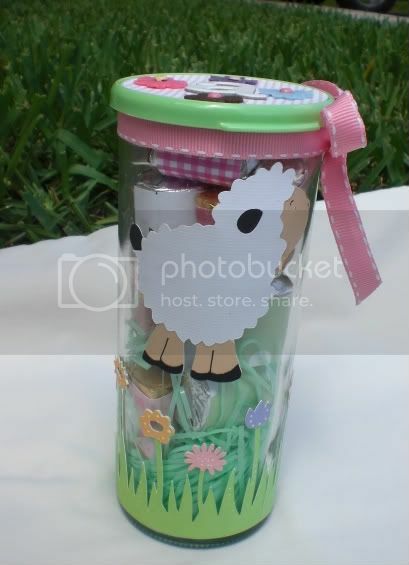 Here is a jar I altered that is filled with Hersheys nuggets which I wrapped using this cut file (http://www.mediafire.com/?jlljmxfdmdc). 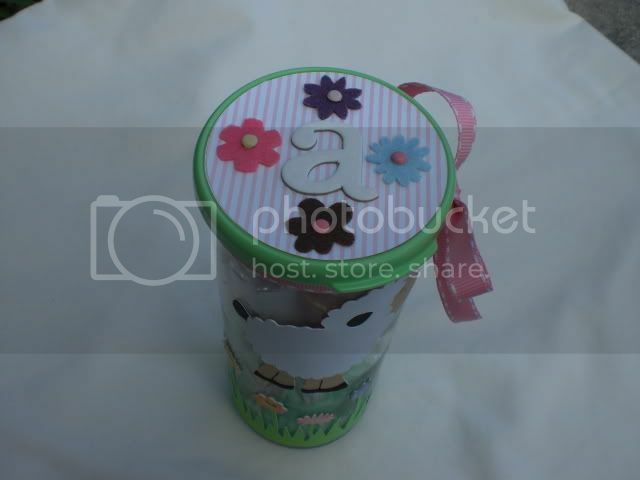 It's a gift for new baby Alex Victoria (born March 26, 2008). 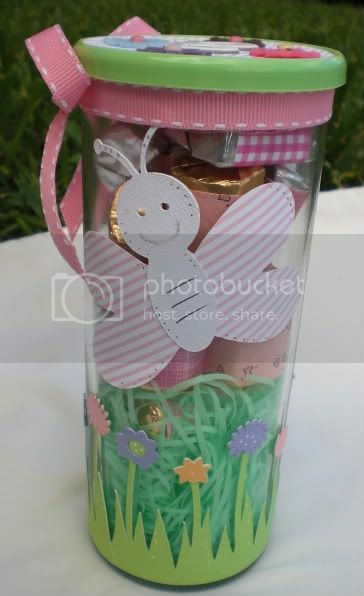 The chocolates will be for mommy and daddy and then the jar can be used for whatever mom chooses! I fell in love with Regina's Pooh card so I had to try it for myself. I don't have the Pooh cartridge yet, but it's on its way! 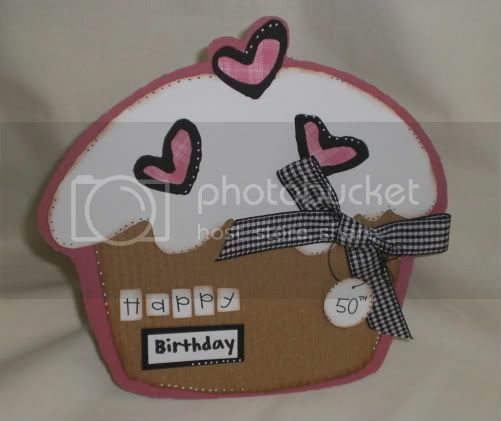 Here is my version of her card! Hope you like it!